Committed to helping residents in the community, Charles Silguero is currently studying at STC’s fire Academy located at the college’s new Regional Center for Public Safety Excellence in Pharr, and plans on receiving his associate in Fire Science this December. “It has been a different experience on its own,” Charles said. “After I weighed my options between various agencies, I believe this choice allowed me to give back more to my community. Fire Prevention Week will be celebrated Oct. 7 to Oct. 13 in 2018. 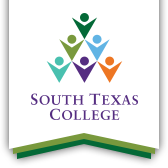 South Texas College faculty say they have selected Charles for his commitment to the fire science program. He began at the academy in late August. After he completes the program, he said he intends to find a job as a firefighter in one of the communities in the Rio Grande Valley. “After I weighed my options between various agencies, I believe this choice allowed me to give back more to my community."